Leave a porch light on and a donation for the food bank, if you can, Monday night in Bracebridge. BRACEBRIDGE — If you hear a knock on your door Monday evening around 6 p.m. and see flashing lights in your window — it’s OK, it’s probably a firefighter, paramedic or Ontario Hydro worker collecting donations for the food bank. 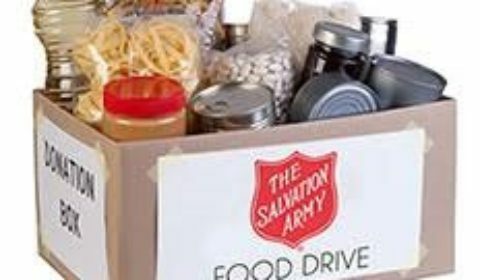 The volunteers are taking part in the annual Salvation Army Food Drive Dec. 3. Volunteers from the Bracebridge Fire Department, Muskoka Paramedic Services, and Ontario Hydro will be coming door to door at 6 p.m. this evening. Please have any non-perishable food donations in a location so that the volunteers can collect them. Let’s make the holiday season bright for everyone.